We’re sad to share that Della Fattoria has decided to say goodbye to the Ferry Plaza Farmers Market, in an effort to concentrate their energies on their Petaluma-based bakery. Their last day was Saturday, October 20. 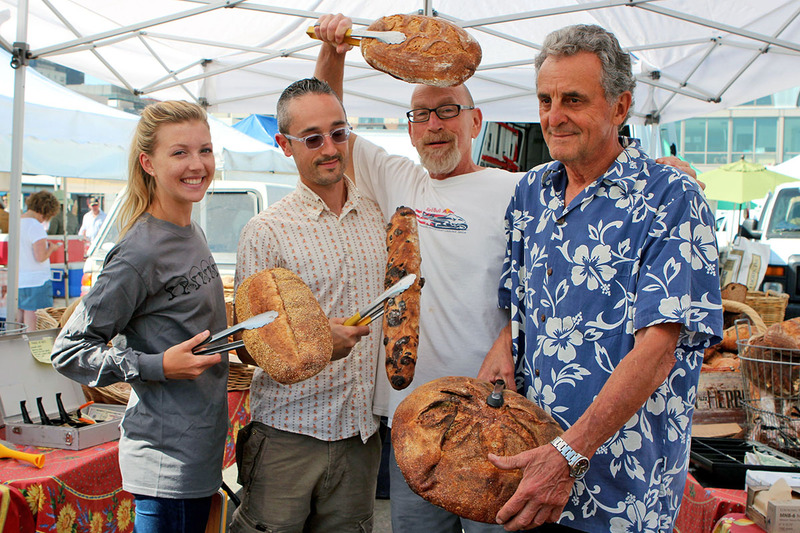 Since 2002, CUESA has been proud to host the Webers at the Saturday market, selling their delicious handmade loaves, and watch them grow to one of the most renowned bakeries in the country. We will miss them dearly and wish them the best in this next phase of growing their bakery business and restaurant! Kathleen and Ed Weber offered this fond farewell. Nothing lasts forever, but our decision to retire from the San Francisco Ferry Plaza Farmers Market kind of hit us all at once. It’s been the heart and soul of Della Fattoria from the beginning. Being part of the best farmers market in the world comes with the built-in assumption of excellence and acceptance; it has opened many doors for us over the years. Even better than that are the relationships we have with our customers, vendors, and CUESA staff; many of you have become treasured friends. We are very lucky, it has been an amazing ride. We will deeply miss being part of it. And we will miss you. For now, we really need to focus on growing our business in Petaluma, the wholesale bakery, retail bakery, and restaurant. We love what we’re doing here too, but it requires focus and lots of time and attention. It’s the time to give this baby what she needs. We invite you to stop in to see us if you are up Petaluma way. We would love to buy you a cup of coffee, and catch up on your lives, as well as showing you what we’ve been up to. Thank you for the wonderful memories, support, and friendships.